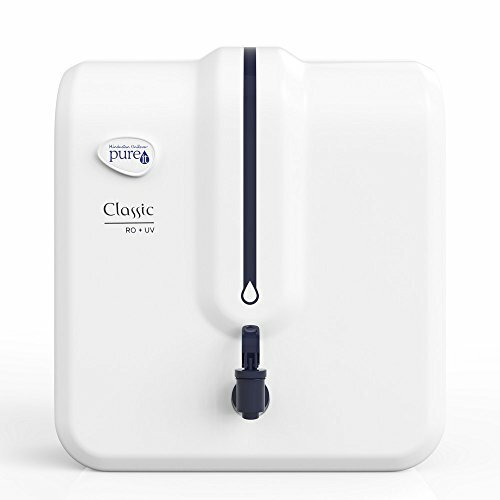 Best Water Purifiers In India 2019 - A MUST READ Guide! When it comes to purifying your water, you need the very best. This is true regardless of whether you are buying for a home or your small office. While there are a ton on the market, only a few are easy to use, provide good value for your money, and are durable enough to be worth your investment. Read on to get in-depth details on the best water purifiers in India. 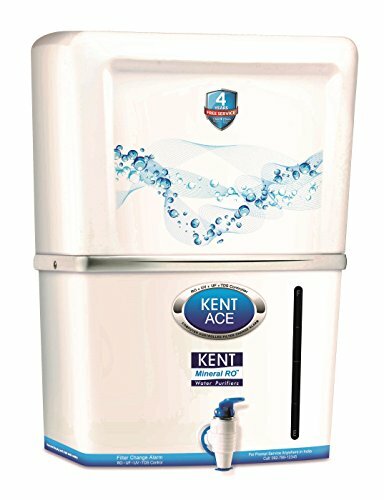 Kent Grand Plus: If you want the best tasting water irrespective of the source and are willing to pay the big bucks for it, the Kent Grand is everything you could have asked for. Perfectly combining the powers of RO and UV/UF tech, it cleans the water of all viruses, bacteria like no other without the loss of any minerals. Plus, it has a 8-liter storage capacity. 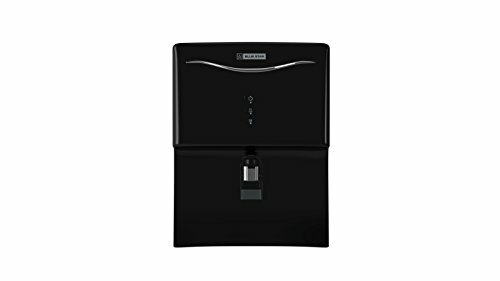 Pureit Classic: Want a water purifier on the cheap that doesn’t compromise with water quality? The Pureit Classic’s got you well covered. It’s a non-electric purifier that uses Gravity technology to give you pure water. Also, it needs no installation and stores around 23-liters of water (plenty of clean drinking water for one day). Nothing tastes better than a refreshing glass of clean water. However, even filtered water has impurities like chemicals, viruses, salt, and bacteria among others. These elements can affect the taste, making your water taste dirty or stale. Traditional water filters are not enough to completely remove all of these elements. However, thanks to the combination of RO and UV/UF technology, your water is as pure as possible, without any impurities. Regardless of your water source, this unit can handle it all. The technology used to develop the purification system is sophisticated enough to purify water from many different sources. This means that no matter how you get your water, whether it is brackish, from the tap, or from the municipal corporation, you can count on the KENT system to deliver delicious-tasting water. RO technology ensures that all essential nutrients and natural minerals remain in your water as the impure elements are stripped away. Your system’s TDS controller ensures that your water is as healthy as it is delicious. There is no need to trade away the wonderful taste and pure water for the retention of natural minerals with this purification system. Leaks – The storage tank is known to leak if it is at or close to storage capacity. Installation Difficulties – While the installation is free, some customers in more remote areas have complained about needing to wait a few extra days before the installation technician can come to their home or office. 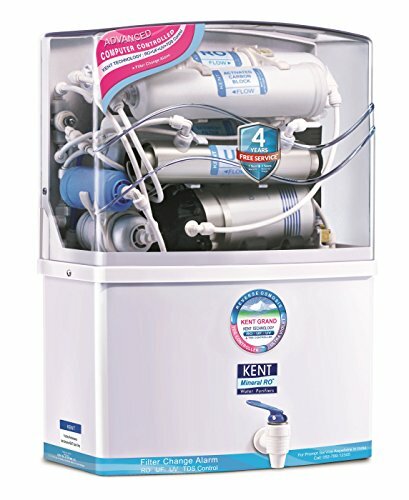 Only KENT-Compatible – The purification system is only compatible with other KENT products, which means that you cannot swap out the filters for discount brand ones. Livpure’s system comes has a six-stage purification system, ensuring that your water is as free from impurities as possible. First, it removes both fine and coarse particles before using its carbon filter to absorb chlorine and other organic impurities. A reverse osmosis process is next, where heavy metals, salts, and things like pesticides and herbicides are removed from the water along with microbiological elements. The entire process is rounded out by UV disinfection, a silver-based post-carbon filter, and a mineralizer, giving you clean water that tastes delicious. For a purification unit to be practical, it needs to have a large storage system as well as fast purification times. 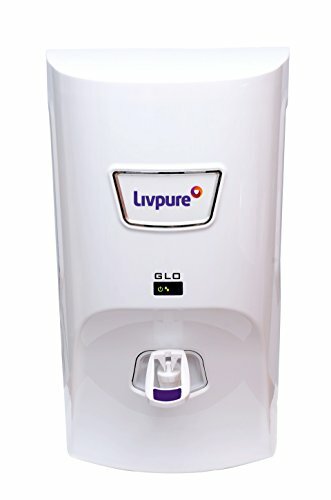 The Livpure system comes with a seven-liter tank, which is more than enough water to keep you and your family or staff members hydrated. The system also has indicators letting you know when the purification process is happening and when your storage tank is full, taking the guesswork out of maintaining your system. All Livpure systems come with complimentary installation, so you can focus on getting the best system for your needs without worrying about additional costs. To ensure that all technicians complete the work to your satisfaction, Livpure makes use of a “happy code” system. Customers are given a code with the product when it is shipped. You then hand over the code to the technician once you are happy with their work. The technician cannot close out the ticket without the code. As a result, you are guaranteed great work each time. To avoid any issues, be sure you hang on to the code until you have tested the product. 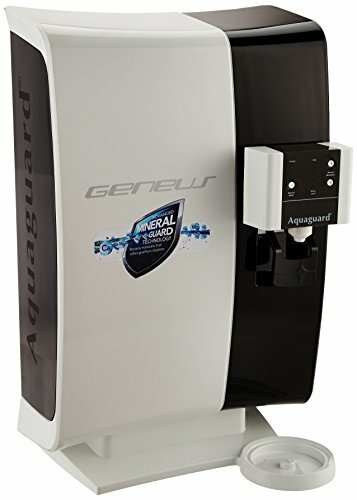 Taste – When it comes to water purifiers, taste sometimes takes a backseat to remove pathogens from the water. Not so with this system. Users love the fresh, clean taste. Careless Technicians – In some cases, the technicians sent by the company were not very thorough with installation, causing an unwanted leak and repeat maintenance calls. Customer Service Delays – Some people have found that the customer service line can be quite busy during peak call periods. If possible, it is best to call them during the morning, when the lines are slower. Noisy – When the purifier is in need of service or repairs, it can become quite noisy. While this should prompt users to service the device, it can be annoying in the meantime. Perhaps the biggest advantage of investing in this purifications system is the intuitive display. It is easy to read and acts as a smart indicator, giving you access to all the information you may need to keep your purifier running smoothly. The elements you can check include the water quality in the tank, whether or not there are any faults in the system, and if you need to run a service cycle. Additionally, a water level sensor lets you know how much-purified water you have remained in the tank, so you never run out. These cartridges ensure that the water you drink is always infused with essential minerals such as calcium, copper, magnesium, and zinc. Ordinary water filtration systems tend to strip the water of all micro-elements, as they cannot distinguish between impurities and nutrients. The nutrition cartridge replaces those elements, making sure that every glass of water is crisp, pure, and healthy. Water from these purification systems is as pure as water that had been boiled 20 times, which makes adding these extra nutrients to the water an important step. The Aquaguard Genius can be used regardless of your water source. This means that you can connect it to tap water, municipal water, or even if your water is brackish. An auto mineral modulator lets you balance the minerals and intensity of the purification depending on your source, doing so automatically so you never have to worry about it. This feature also gives you the chance to set the taste of your water – making it the ultimate in purification customization. Installation Included – There is no need to worry about installing your unit incorrectly or making a mess since installation is complimentary with every unit sold. Simply contact Aquaguard once your unit arrives to book your installation appointment. Quick Purification – Some systems can take a while to purify new water to fill the storage tank, which can be a pain in a small, busy office or if you have company. These purification units work fast, giving you clean water in minutes. Easy to Use – Thanks to the large LED display and easy to understand features, the Aquaguard unit is one of the simplest yet effective units on the market. This makes it perfect for everyone, even those who are not tech-savvy. Expensive – When compared to other units on the market, the Aquarguard is a bit pricey, which can deter some customers. However, the unit does deliver a lot for your money, making it a great investment. TDS Cannot be Manually Adjusted – The TDS cannot be adjusted manually, which means you must rely on the sensors in the unit itself. Inconsistent Warranty Information – Warranty information is not easy to find online, even when you visit the unit’s Amazon page and the company’s website. Every KENT product comes with a superior filtration system. First, the water is cycled through a double purification process using both UV and UF to remove all impurities, even microscopic ones. As a result, you can count on your water to be free from things like chemicals, viruses, and bacteria. Next, the water is put through an RO process, which ensures that each drop retains essential natural minerals. In the end, you get healthy, pure, and delicious tasting water. A huge perk of this system is the available computer controls. With just a few clicks, you can set purification levels and notifications that can warn you when action needs to be taken. For example, notifications can be sent out when the unit is running low on purified water when the UV lights are getting too warm, and even when the purifier itself needs servicing. Making use of these computer controls keeps your water safer and tasting better than relying on traditional filtration systems. Not all water purifiers are the same. In fact, some deliver poor quality and bad tasting water. Thankfully, you do not need to worry about these issues when you purchase a KENT product, as they are one of the most award-winning and certified brands. Recent certifications include those granted by NSF International, CE, and the Water Quality Association. With acclamations like that, you definitely do not need to worry about taste or purity levels. Purifies All Types of Water – Water purification systems are an investment, so it is wise to purchase one that can be used with all types of water, in case your source changes or you move. These units can purify water from all sources, including wells, municipal water, and water received from brackish sources. Wall Mounted Unit – Not all homes or offices have room for a large purification unit. KENT products, including this one, can easily be wall-mounted, saving you valuable floor space. Standard Notifications Unclear – Unless you choose to use the computer controls, you may miss key notifications, such as those warning about UV or purification levels. Expensive Part Replacement – Once the one-year warranty runs out, you are on the hook for the cost of all replacement parts. In units like these, they can be quite pricey as your service technician can only use KENT products. No Display Unit – There is no central display unit, meaning that you need to rely on the computer controls to check things like purification water levels and the lifespan of your filters. 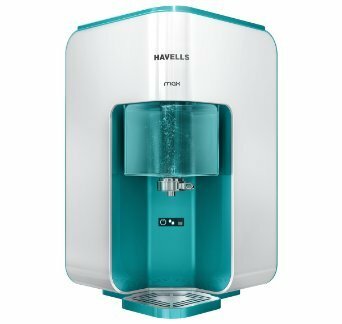 Havells’ water purifier offers impeccable safety to all users thanks to its combination of reverse osmosis and UV treatments. First, water passes through the reverse osmosis system, where harmful microbes are removed, even small bits of dirt and grime. Next, UV purification ensures that the water you drink is absolutely safe. A minerals cartridge is also part of this purification unit, which corrects PH levels and adds back all essential minerals that may have been stripped away during purification. These water purifiers also contain a revitalizer, which serves an interesting purpose. It restructures water molecules, biologically activating them in a way that encourages hydration and mineral absorption. The end result is better tasting water that includes everything you need. Some purifiers tend to sacrifice taste for safety and purity, but the revitalizer included in the Havells units ensure that you can get safe yet delicious water whenever you need. Customers can also benefit from extensive protection and monitoring systems. The unit is constantly monitored throughout the purification process to ensure that safe water is always delivered, with warnings and alerts sounding if there is something amiss. Additionally, advanced electronics include in the unit itself ensure that it performs well in a wide voltage range. If voltage increases above 330 volts or dips below 170, there are measures in place to protect the machine from electrical damage. Fast Installation – In most areas, installation can happen incredibly quickly. Some users even reported installation times of less than 24 hours. This is a great way to be sure you can get clean, pure water as soon as possible. Food-Grade Plastic – Unlike other purification units that simply use plastic, Havells makes use of food-grade plastic. Food-grade plastic is put through additional testing and held to higher safety standards. No Prefilter Required – There is absolutely no need to go through the time, expense, and difficulty of finding a prefilter for this unit, as the reverse osmosis process making that particular part redundant. This also saves you time and money. Installation Delays – Some users in more remote areas reported delays with the installation. It is a good idea to contact the manufacturer in advance to find out about installation times in your area if you have concerns. Expensive Maintenance – The cost of parts is not cheap, nor are service calls. However, customers do agree that the unit is very durable. No TDS Control – Unfortunately, there is no way for users to control the TDL, which can affect the taste of the water in certain areas. While most water purification systems offer free installation, customers can often wait days if not weeks before a representative arrives. Blue Star purifiers solve this problem, coming with a guaranteed installation date. Once you contact the company to let them know your system has arrived, a technician is scheduled to arrive at your house within three to five days. This helps save you time and lets you get on with your life. Some water purifications systems prioritize safety over taste, which can result in water that seems stale or is otherwise unpleasant to drink. Not so with the Aristo from Blue Star. An aqua taste booster is installed in each one, enhancing the taste while also balancing PH levels. Some users claim that the taste is even better than bottled water, saving you money while also encouraging you to stay safely hydrated. Water is purified in the Aristo thanks to a complex six-stage purification process. The system makes use of a pre-sediment filter, a pre-carbon filter, RO membranes, a UV lamp, a sediment filter, and a post-carbon filter fitted with the aqua taste boost tech to give you a clean and delicious glass of water each and every pour. Ongoing monitoring of each filter is done by the system, which then alerts you if there is anything wrong. Dual Layered RO + UV Protection – Two levels of protection ensure that the water you drink is always safe, without any impurities, heavy metals, or microorganisms. Child Lock – Children are a wonderful part of life, but they can be unintentionally destructive. This is especially true around units that are as sleek and flashy as water purification settings. A child lock prevents any unnecessary water waste due to inquisitive little hands. Noisy – When it comes close to servicing time, the unit can become quite noisy. Some users reported that it made a loud rumbling sound, not unlike that from a motor. Leaks – The tap has been known to leak, even when it is securely turned off. Users have found a workaround by enabling the child lock. These units are unquestionably attractive, designed to be a welcome addition to most modern kitchens. LED indicators to replace boxy and unattractive screens, letting you know what stage your water is at in the purification process when your tank is low or empty, pressure or supply issues, and other errors with the machine. You can glean all of this information at a glance just by looking at the color of the lights. Looks aren’t everything either. Purification can occur regardless of the water source, including wells, taps, and borewells. One of the biggest complaints with most purification units is that they make a lot of noise when they are running. The purification process can take some time as well, which may lead to sustained unwanted noise. Thankfully, the Eureka from Aquaguard is completely silent, even during runtime. Most users don’t even know that it is running when it is on. Additionally, the water fill rate is quite quick, so it does not need to run for long before you and your family have enough water to last a while. When left on, water purifiers can waste a lot of energy. These systems help mitigate that impact by coming with a smart plus sensor. The machine automatically powers off whenever the tank is full. As a result, you never need to worry about your energy bill skyrocketing or the tank overflowing. Attractive – The sleek black unit is designed to suit most modernly decorated kitchens. It is narrow enough to fit in well without requiring any renovations or reorganization. Slow Installation – While installation comes with the product, many consumers have reported slow response times from customer service when trying to set up an appointment. Poor Installation – Some consumers have mentioned that inexperienced technicians were sent out to install the product on their own. This led to lengthy install times, well beyond what most consider reasonable for a purification system. Water Sensor Level Errors – When the device is close to requiring service, you may notice water sensor level errors. These are often corrected once replacement parts are installed. 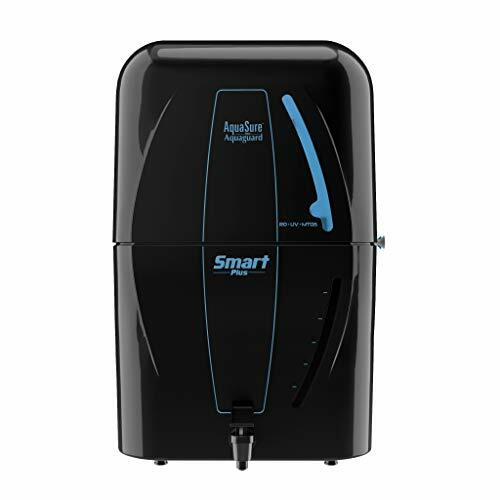 A large electronic panel gives you the ability to quickly and easily see the quality of the water in the tank as well as the life of your filters and other parts of your germ killing kit. It also features a purity indicator, that can sense the quality of the water up to 5000 times per second, giving you a clear idea of how pure the water you are about to drink really is quickly and easily. For those who prefer not to connect your purification system to other devices like your mobile phone or computer, this feature alone is worth the investment. Most purification systems have some form of TDS in place. However, they are often automatic systems, incapable of being manually adjusted. This means that users do not always get water that tastes the way they may prefer. The Hal Pureit Ultima addresses this issue, with a modulator you can adjust. Each one adds appropriate amounts of essential minerals, including magnesium and calcium. Each drop of water passes through two purification systems: a reverse osmosis system and UV purification. This process removes all chemicals that can be harmful to you and your families, such as mercury, arsenic, and lead. Users are left with pure and safe water, without any risks to their health. Product Received Damaged – There have been numerous cases where customers have received damaged items in the mail upon ordering them. You can mitigate this risk by only ordering from approved suppliers. Service Center is Slow – Wait times for service calls, and even to just get through to customer service lines, can be excessively long. High Maintenance Cost – Maintaining these units can be quite costly. Replacement parts are expensive with high associated labor costs as well. The power of the filtration system comes from its five-stage reverse osmosis process. This elaborate set up removes all bacteria and viruses from the water and prevents it from mixing with impure water. Mineral levels are also maintained, ensuring that the resulting water is completely safe and healthy to drink. 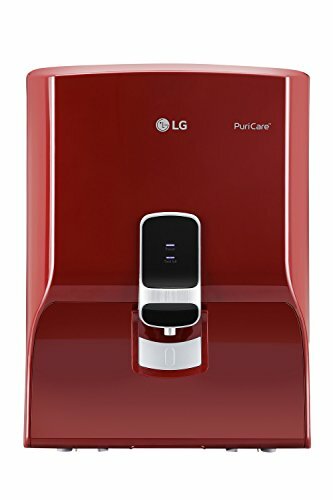 Offering more protection than traditional plastic tanks, the LG purification unit comes with a stainless-steel tank. This ensures that purified water stays safe for drinking, remains fresh, and is free from bacteria and algae growth regardless of internal temperatures. Additionally, the duel protection tank keeps air and other pollutants out, ensuring that your water still tastes great, even if it has sat in the unit all day. Thanks to the stainless-steel storage tanks, the water contained within are much healthier than with other purification units. Testing performed in early 2018 indicated that there was nearly 95 percent less E. Coli growth in these units as opposed to plastic tanks. Even tanks made from food-grade plastic cannot compete with the protection offered by the LG tanks. Each one of these units is made with food-grade plastic, as opposed to standard plastic. This means that the materials used to make your purification system are put through rigorous testing to be sure they are safe. The plastic that is considered to be food grade keeps out contaminants like bacteria much better and are easier to maintain and keep clean. Additionally, food grade plastic is typically much more durable than others. 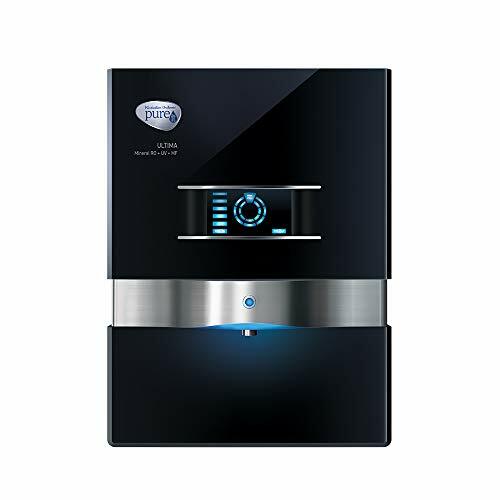 One of the main reasons this is one of the best water purifiers under 10000 is its six-stage purification process. This ensures that each drop of water is completely safe for consumption. All bacteria and harmful microorganisms are removed from the water early on in the process. Toward the end, the water is reinfused with beneficial minerals like calcium and magnesium to ensure that you and your family get all the health benefits associated with drinking water. Encountering electrical troubles in your home is stressful enough – you need to be sure that you buy a filtration unit capable of functioning throughout those fluctuations. The Hul Pureit Classic does just that, continuing to function throughout voltages that peak up to 280 and dip as low as 100.